Do you know how Go! Go! Nihon was born? 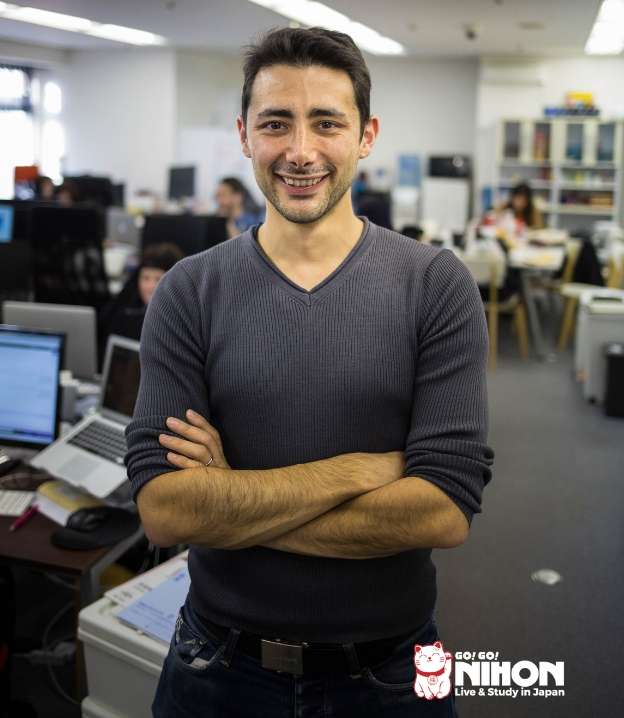 How was it for its founder, Davide Rossi, to live and study in Japan? We ask him directly in this interview about the Go! Go! Nihon service. Hi Davide. Can you tell us about what struck you the first time you came to Japan? I visited Japan for the first time on a graduation trip that lasted three weeks. I did the classic “Golden Route,” spending a week in Tokyo, then going to Kyoto, Nara, Osaka, Kobe, and Hiroshima. I also visited Nikko and Miyajima, which is still my favorite place to visit in Japan. The things that struck me the first time were the extreme cleanliness of the streets, the absence of micro-crime (for example, girls could safely walk alone in the middle of the night; people fell asleep on the subway or in the streets after drinking a little too much with their wallets easily accessible, without anything happening to them) and obviously the culture was totally different from my country’s. It filled me with stimuli and improvement ideas. What convinced you to come study in Japan? Following my tourist experience, I returned to Europe and started working in London. After just a few months, the desire to return to Japan, this time not just as a tourist, but as a student, began to make its way in my mind. That desire was so strong it pushed me to leave my job and apply for a student visa. I wanted to go back to Japan for a longer period, working part-time, and above all being able to communicate with everyone; not just the small percentage of people who speak good English. How was the project “Go! Go! Nihon” born? It came from the desire to help as many people as possible in having the same life-changing experience. Myself, during the process of enrolling in school and looking for accommodation, felt like giving up entirely a few times because everything was just so complicated. While I was in the process of planning the project, I saw on YouTube that a classmate of mine in Japan, John, had made a video on how to repair a Macbook. In 2009, no Japanese language school and almost no company in Japan or study abroad service used YouTube or Facebook for promotion, and my idea was based on using video and social media. That’s how I thought about inviting John for lunch in an udon restaurant and present him with this project, and then everything went from there. Why choose the name Go! Go! Nihon? I remember we put hundreds of names in brainstorming. We immediately liked Go! and Nihon more than others. This then became Go! Go! Nihon. The name is memorized easily, gives the idea of ​​moving, going to Japan and also uses a Japanese word that even novice students can learn. Did you have difficulty starting to learn Japanese? My first 6 months as a student in Japan are still the best time of my life. Nothing is easy when you learn something new and you are out of your comfort zone, but I remember that going to school every day was extremely enjoyable, and seeing my daily progress outside of school always gave me new incentives to study and improve my Japanese. What are the strengths of the Go! Go! Nihon service? Go! Go! Nihon team members, including myself, are almost all people who came to study in Japan, so they clearly know how to respond to doubts and questions about studying and living in Japan. In addition, we have Japanese staff who are in direct contact with language schools. This makes a real difference in terms of quality of service, professionalism and clarity in communication, and further translates into a simple registration process, as well as savings for the students (with the school, accommodation, SIM card, Wifi, etc.). Was it easy to make a company in Japan as a foreigner? If you have the opportunity to make an initial investment of 5,000,000 yen and a clear business plan, with a lawyer who supports you with the paperwork, it is not difficult. I talked about it in a different Go! Go! Nihon blog article. So far, what is your greatest satisfaction in this field of work? Having helped nearly 8,000 people from more than 70 countries around the world come to study in the country that first changed my life and gave me the opportunity to create Go! Go! Nihon. How is it possible for the Go! Go! Nihon service to be free? We are supported by institutions and schools in Japan. Japan wants to increase the number of foreigners who speak the Japanese language, but they do not know how to support and help foreigners with the various paperwork, so they are happy to ask Go! Go! Nihon. This allows us to be completely available to prospective students, free of charge. Why can Go! Go! Nihon only support some schools in Japan? Go! Go! Nihon strives to maintain only the highest quality schools in Japan on its website. The selection is made according to rigorous methods, which include the visit of the school by several people on the team, interviews with school principals and teachers, interviews with past and present students, and more. We visit the schools annually to ensure that the high-quality standards are maintained, otherwise we will have to reconsider the presence of the school on our site. For those enrolling from abroad, it is difficult to rely only on a school website or comments on the internet, so by choosing a Go! Go! Nihon school, the student is guaranteed to be picking only from the best schools and to invest their money in a way that will pay off for them. What do you advise to those who are hesitant to come to study in Japan? Sometimes it is normal to be hesitant, but think that in just 6 months you will be able to speak Japanese and interact with many people in one of the strongest economies in the world, will be living in an extremely safe country, with friendly and polite people, and will have access to job opportunities you would not have in your country. Sometimes it takes just a few minutes to get started: I advise everyone to contact Go! Go! Nihon’s staff to know the procedure. Why should those who want to study in Japan choose Go! Go! Nihon? Since 2009, Go! Go! 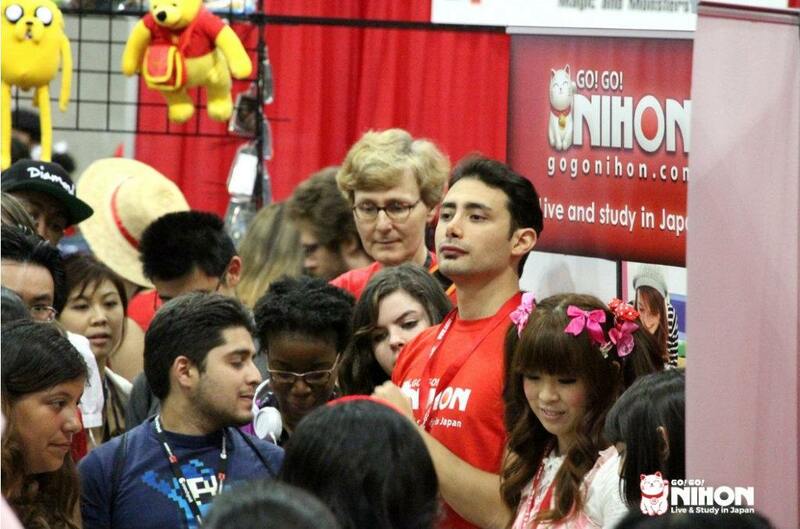 Nihon brings students to Japan, helping you from the moment you pick your school if you do not yet have a specific idea, until you meet in one of our events in Japan. This includes support in your native language with the accommodation, Wifi, SIM card and, above all, without adding a single dollar to what you would pay by doing everything yourself directly with the school. To learn more about the Go! Go! Nihon service or our staff you can visit Go! Go! Nihon’s YouTube channel, in addition to our website. You will find videos of schools, study trips, student testimonials, and much more information about living and studying in Japan.